It’s a rocking, soulful musical that will have even the most skeptical scrooge saying bah-humbug no more. A Christmas Carol at Austin’s ZACH Theatre puts a modern twist on a holiday classic by combining new hit songs with traditional Victorian-setting costumes. Directed by Abe Reynolds, the festive production takes Dickens’ classic to new heights in a way that only Austin’s ZACH can. If you choose to make the play part of your holiday plans, you’re in for a unique treat with a fun twist on all characters, especially the Ghosts of Christmas Past and Present, played by actors Kenny Williams (Past), CHANEL (Present) and Jessica O’Brien (Present). Not to mention longtime Austin favorite, Jaston “Greater Tuna” Williams, who plays the ever-so-classically grumpy Ebenezer Scrooge. Kenny Williams as the Ghost of Christmas Past in “A Christmas Carol” at Austin’s ZACH Theatre. Simply phenomenal talent with amazing voices and upbeat tunes will be sure to catch your attention. Not to give too many spoilers, but my favorite character, the ghost of Christmas past fills the room with a light-hearted and jolly aura. “You do you boo,” he flamboyantly says to the dour-faced Scrooge. 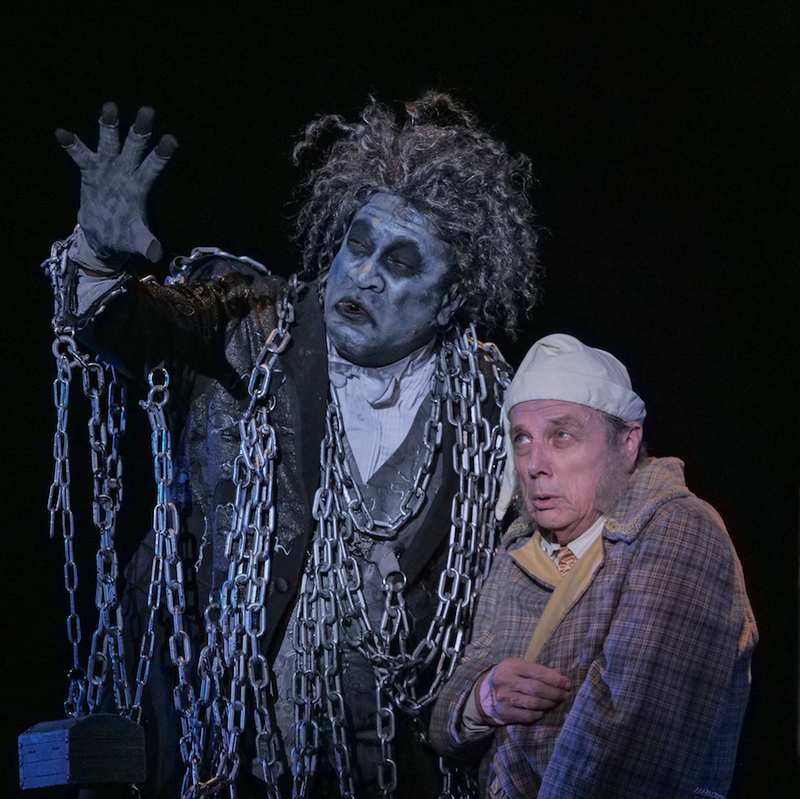 Another one of my favorite moments of the play is when the ghost of Scrooge’s old friend, Jacob Marley, appears. Elaborately pieced together, all the costumes in the play have strong attention to detail, but Marley’s costume, hair and makeup take ZACH’s staging to new levels. Dragging heavy chains and decked out in ghoulishly gray makeup with hair strung out everywhere, actor Roderick Sanford, who also plays Fezziwig, the Ghost of Christmas Future and the Reverend, makes his presence known on stage as he belts out Michael Jackson’s “Man in the Mirror,” while warning Scrooge that if he doesn’t change his ways, he too will become as drained, tortured and troubled as Marley. Described on the ZACH theatre website as “Motown meets the HoHoHolidays,” this play is good for anyone ages six and up. “I think especially for younger people, the added music and newer elements can help them related more to the story instead of keeping the elements strictly traditional,” said Austin resident, Kris Hunt, who took her 25-year-old daughter to see the play. A Christmas Carol runs at ZACH through December 31. 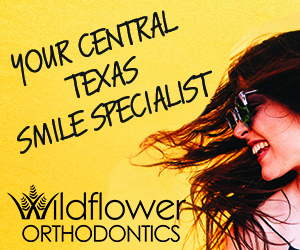 Tickets start at $30 and can be purchased online. Cover: CHANEL (Ghost of Christmas Present) and Jaston Williams (Ebenezer Scrooge) in A Christmas Carol at ZACH Theatre.